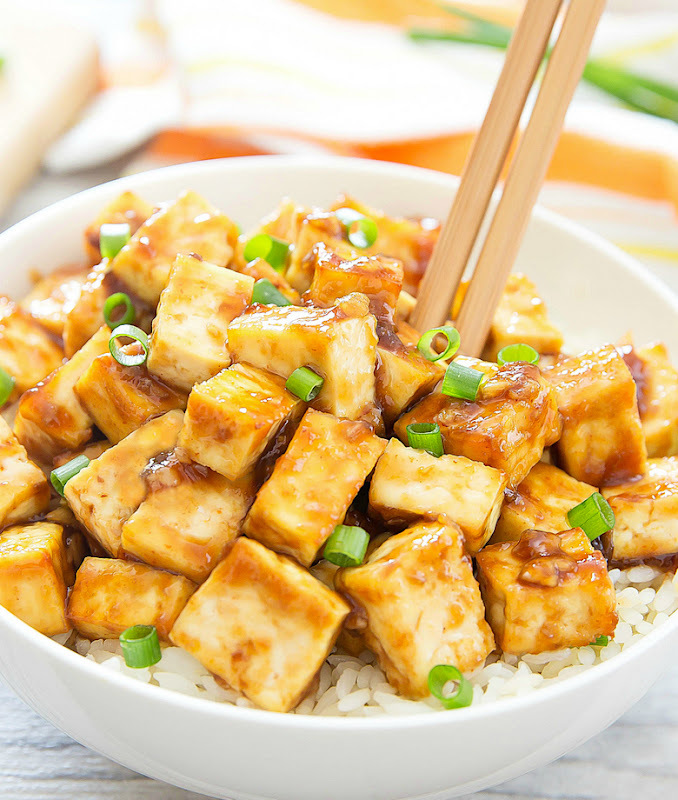 Tofu is baked until crispy and then tossed in a thick, Chinese-style stir-fry garlic sauce. I’m pretty excited about the extra hour of daylight now that we’re on daylight saving time again. Though it actually feels much longer than one hour. It suddenly feels like I have so much more time. Instead of just cooking dinner after work, I now have time to garden, clean, organize and do a bunch of other house things before it gets dark. In fact, these scallions I used came from the garden. Mr. K and I both love tofu. It’s so weird seeing my husband excited by anything that is healthy, but every time he sees me making tofu he gets as excited as a kid. He kept asking me if the tofu was ready yet every ten minutes. You’d think I was making cookies. I’m sorry I don’t know what you’re referring to. What pressing? 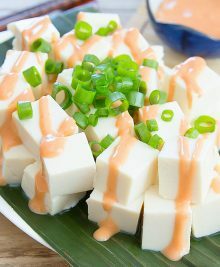 You squish the excess liquid out of the tofu before cooking it otherwise it’s slimy. Freezing it for an hour after pressing and before cooking also makes it firmer. I think you may have used silken tofu rather than firm, which are two very different products. Silken has that slippery feeling to it, and is good in miso soup or to make dressings and creamy condiments. I just made this! However, I did not bake it in the oven because I’m impatient lol. 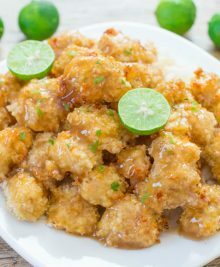 I sprinkled a little salt on the tofu, tossed it in cornstarch, and fried a couple of minutes on each side before tossing it in the sauce. It was phenomenal. Thanks for the recipe!! 35-40 min In the oven did ruin my tofu. 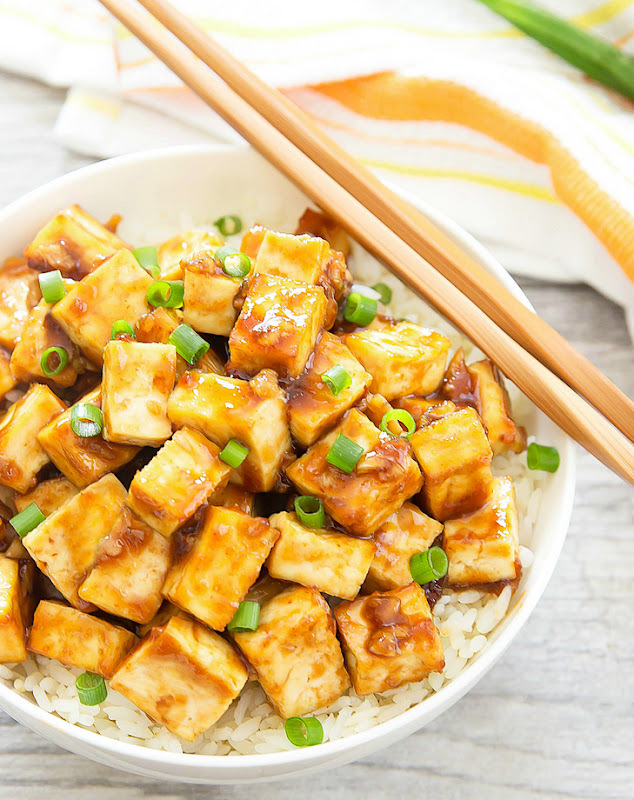 Pressing is of course an option, but I’ve been cooking tofu this way with no issues for a long time. Perhaps the tofu consistency and water ratio is a little different where you are coming from? I noticed you are writing in from Denmark and I know that ingredients can be really different from country to country. I know this is from a couple years ago, but pressing it is definitely key because I’ve made a Teriyaki Tofu recipe which specifically states to pat it dry with paper-towels. Also, did you cook for 35 or 40 minutes? There is a big difference for the time frame used. Whenever I try a new recipe especially if it has to do with Tofu, I always do the least amount of time first to be on the safe side, but if it doesn’t look done to me, I’ll cook it for about two more minutes. I feel like patting it down is key to having it cooked well. Ahead of time, take it out of it’s container and put it a new dry container or ziploc and freeze it. Let it thaw in the fridge the night before you plan to cook it. Now you can be really rough with it and squeeze the liquid out like a sponge. 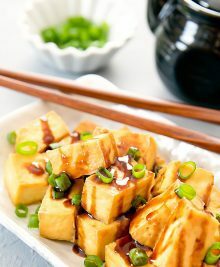 For some reason this makes the tofu nice and tough and chewy, as opposed to just pressing it between plates beforehand. You get an A+ on this dish! 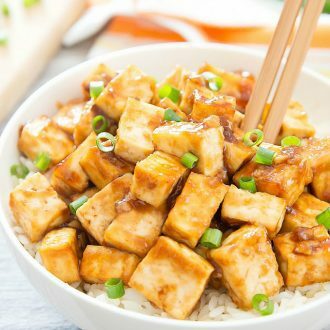 I’m new to tofu and I must admit, I wasn’t really liking it until now. This is delectable! Thanks so much for sharing this recipe. So glad you like this!! once I realized tofu is bland by itself and takes on the flavors of seasonings and sauces you can do anything. I pan fry slices and pour syrup over and eat like a pancake.. it’s delicious and quick. Hey! How many servings does this give? Very late reply, but thank you very much! Do you have any ideas of nutritional information for this? Such as calorie count? I do not have nutritional information. I suggest using nurtitional websites like myfitnesspal which will let you calculate recipe nutrition facts. I used a paper towel on the top and bottom of the tofu and slightly pressed out some liquid. my tofu came out perfect at 35 minutes! Wow! 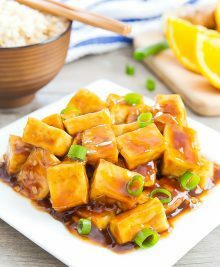 I’ve never used tofu before but I have to say this was delicious! I didn’t have onion powder so I just blended an onion and used that instead. Will definetly be making again. Yes when baked the tofu should be crisp on the outside and chewy on the inside. I personally love this about the texture! if you fry it, it will definitely be even crispier. what other kind of sauce could I use for my Tofu….this sause recipe is not enough for the whole 14oz. During lent I don’t eat meat…I love seafood, but sometimes look for other options. I’ve tried tempeh and was NOT a fan. I was scared to try this recipe, but I’m so glad I did!!! It was soooooooo good!!! I will definitely make this again. I made it exactly as the recipe was, and loved it. I made this with brown rice and spinach. This will be on rotation for my meals! Loved it. I’m so glad you enjoyed it. Thank you for taking the time to share your experience! This sauce is SO GOOD! Really well balanced and easy to make. I overcooked my tofu but luckily, the sauce saved the dish. so glad you love the sauce! very lucky was I to find this recipe. 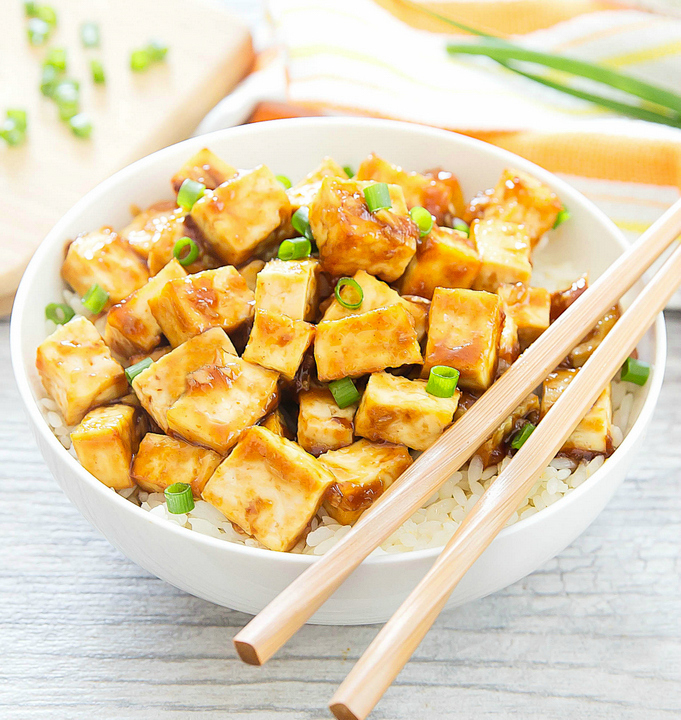 Had to use up some tofu, found your website – problem solved! 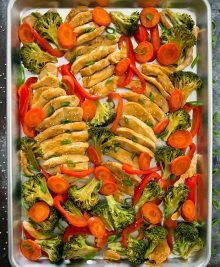 simple, healthy, and delicious! so glad you liked it! 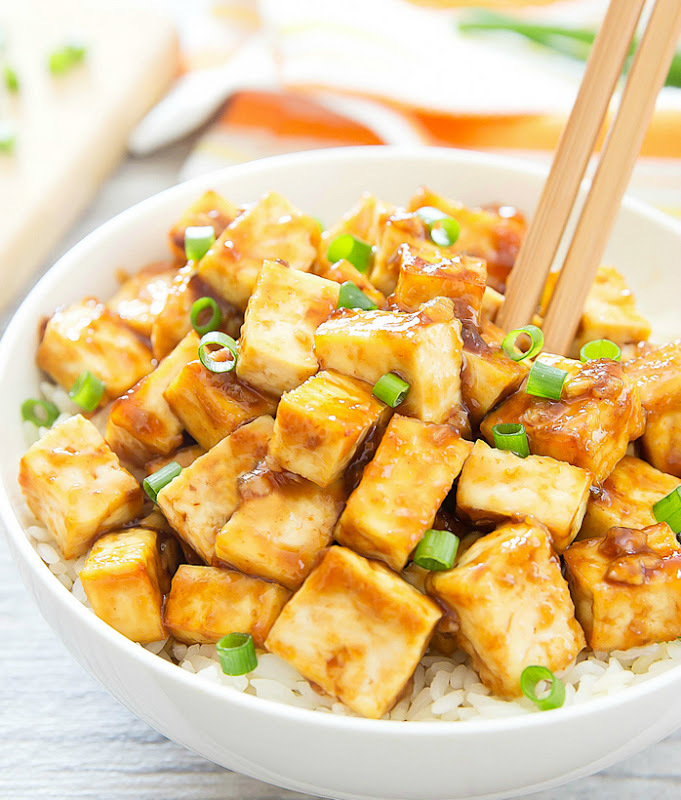 i love cooking tofu! This was amazing! My whole family liked it, and that’s a small miracle! Thanks for coming up with this recipe. 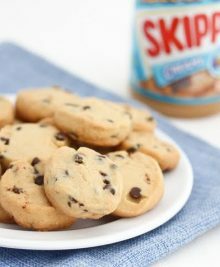 For Baking this recipe, can you use foil instead of parchment paper or a baking mat if you don’t happen to have either of those items? And should the foil be sprayed with cooking oil, so the tofu wouldn’t stick? You can try foil with oil, but I found that it will still sometimes stick, which is why I prefer parchment paper which is truly nonstick. Made this tonight. Killer recipe and flavors.Everyone loved it.Gracias!